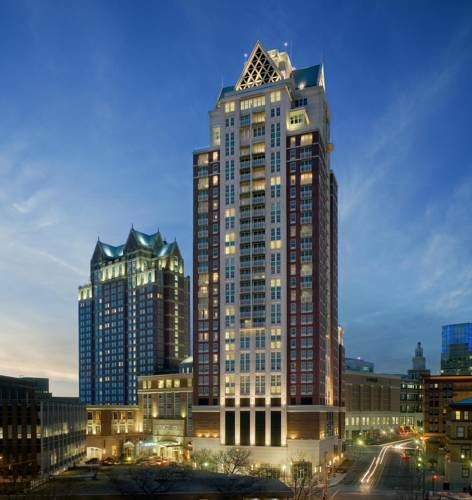 Omni Providence Hotel is connected to the Rhode Island Convention Center and Providence Place Mall. We are walking distance from many gourmet restaurants and historic attractions. Guests can experience a recent renovation in the lobby and West Tower guestrooms. With a heated indoor pool and fully equipped Fitness Center we have everything you need. Enjoy the classic steakhouse fare that is artfully prepared for contemporary tastes at Flemings Steakhouse and Wine Bar. Our 22877 square feet of meeting space in 18 classically decorated rooms can accommodate nearly any size or type of function. Guests will enjoy our spacious accommodations with beautiful city views and over-sized bathrooms. The Omni Providence is a non smoking hotel. Morsel's: Coffee shop offering Peets Coffee. They also have light breakfast and lunch items. Mon-Sat from 0600-180 and Sunday from 0600-1300. Museum/gallery viewing - Rhode Island School of Design Museum and Culinary Arts Museum at Johnson and Wales University. Both less than 1 mile from the hotel. Outlet shopping - Wrentham Village Premium Outlets - 25 miles, 30 minutes from the hotel. Located in downtown Providence. Connected to the Rhode Island Convention Center and the Providence Place Mall. Located within walking distance to many gourmet restaurants and historic attractions. Guests will experience all that the city has to offer. Guests can also enjoy a fully equipped fitness center and heated indoor relaxation pool located onsite. There is total meeting space of 22877 sq ft in 18 rooms which can accommodate nearly any size or type of function. Located only steps away from the convention center and only 9 miles from the TF Green Memorial State Airport. Dunkin Donuts CenterConnected to the hotel via the RI Convention Center (indoors) - 1 block. T.F. Green AirportAirport taxi and limo service 401-737-2868. Cost is 35.00USD per person one way. Shuttle stops at all downtown hotels. City CenterNo free shuttle transportation to property. No public transportation adjacent. City center is within walking distance to property.